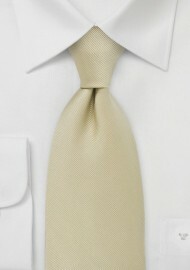 This champagne/cream silk tie is one of our most popular wedding ties. The fine repp-structure is created by a unique jacquard weaving technique. It gives the tie more structure and a perfect drape. Please note that this tie is made in XL length of 62 inches. 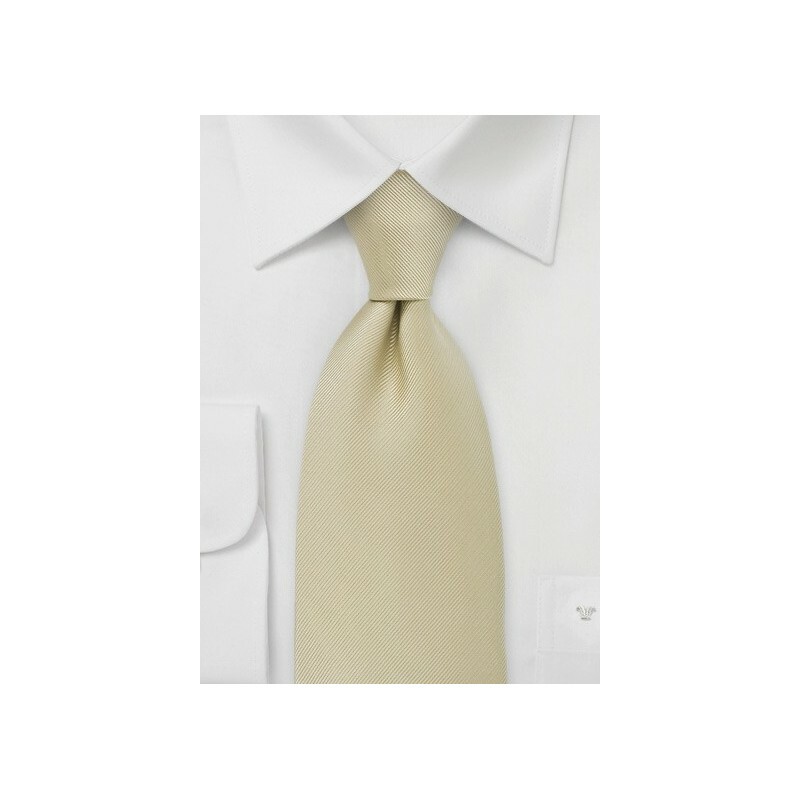 Extra long ties are typically a good fit for any man taller than 6 foot 3 inches, and/or men with a larger neck size. Made from 100% silk.